At trial, Mr. Simon's defense to the tax fraud counts was generally that the $1.8 million he received from his business entities wasn't taxable income. He primarily characterized the money as funds loaned to him legitimately by his businesses, and which he intended to pay back. He suggested in the alternative that the payments could be considered nontaxable partnership distributions rather than taxable income. With regard to not checking the "yes" box on the part of Schedule B of his tax returns asking whether he had interest in or control over any foreign bank accounts, Mr. Simon's defense was that he used TurboTax software to automatically fill out his tax forms. Based on how he answered the program's questions, the program didn't ask him anything about foreign accounts. His defense as to the FBAR reporting requirements was that the requirements were confusing, and in any case filing or not filing them had no effect on tax liability so there would be no reason for him to intentionally conceal his control over the foreign accounts. With regard to the mail fraud and financial aid fraud counts, Mr. Simon's defense was that if the jury accepted his explanations on the tax and FBAR issues — that the money wasn't taxable income and he didn't think he had to file the FBARS — then none of the statements on the financial aid applications were false. In addition, for the private financial aid applications, even if his statements about his income and assets were false they weren't materially so; because his children were high-performing academically, the schools wanted them to attend and essentially made price concessions on tuition. He argued that the schools themselves had instructed him to just estimate the information on the forms, because the answers wouldn't really affect the amount of tuition his family would have to pay. After a six-day trial, the jury mostly rejected these explanations. The jury found Mr. Simon not guilty of three of the mail fraud counts but guilty as to the other twenty counts in the indictment. The court sentenced Mr. Simon to an aggregate term of 72 months imprisonment and an aggregate term of 3 years of supervised release. n1 The court of appeals affirmed the conviction in all respects, and Mr. Simon timely filed this motion to vacate under § 2255.
n1 Mr. Simon notified the court that he anticipated being released to home confinement on June 1, 2016 and so may no longer be in custody. Nonetheless, he has notified [*8] the court that he intends to pursue relief under § 2255 despite his release, and he is entitled to do so because he was in custody when he filed his petition. See Virsnieks v. Smith, 521 F.3d 707, 717-718 (7th Cir. 2008). Judge Miller than states the conditions for relief under § 2255 -- relief "only if he can show a fundamental defect which inherently results in a complete miscarriage of justice." (Internal quotes omitted.) For the ineffective assistance of counsel claim, the prisoner must show that (i) the attorney's performance fell well below an objective standard of reasonableness and (ii) that there is a reasonable probability that, but for the attorney's errors, the proceeding would have been different. Strickland v. Washington, 466 U.S. 668, 688-693 (1984). These are referred to as the Strickland requirements. Focusing on the first Strickland element, the the performance prong, Judge Miller said that the attorney's performance is presumed effective and the court must be "highly deferential to eliminate as much as possible the distorting effects of hindsight." Focusing on the second Strickland element, Judge Miller said (quotation marks and citations omitted) that the prisoner must show a probability of a different outcome sufficient to undermine the confidence in the outcome. Mere trial errors will not suffice. Judge Miller provides an excellent background nuanced presentation of the requirements for these Strickland elements, so I refer readers to that background. Now, turning to the items I will discuss, I use the captions used in the opinion for the portions that I discuss. Judge Miller turns first to an alleged error his alleges his attorneys made with respect to what Judge Miller calls the "tax fraud counts." Actually, tax fraud is not the correct term for the counts of conviction to which this claim is made. Simon was convicted of tax perjury, § 7206(1), here, which requires simply making false statements on a return filed under penalty of perjury. There is no requirement of tax due and owing and hence, in the absence of such a monetary element, the crime does not involve fraud. It is a type of perjury -- a false statement made under oath. 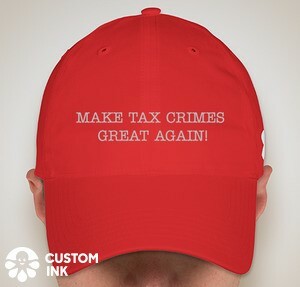 Tax fraud is the word sometimes used for tax evasion, § 7201, here, which does have an element of tax due and owing -- the taxpayer attempted to defraud the Government of the tax. Simon was not convicted of tax evasion, but instead of lying on his returns filed under penalties of perjury. The lies the Government claimed was treaty payments from the businesses as nontaxable loans and not checking yes to the Schedule B foreign account question. So, focusing on the characterization of the payments as loans rather that some other taxable or nontaxable payment, the Government's case would be made if it could show that the payments were not loans, regardless of whether the payments were not taxable under some other basis. This may sound like a quibble, but it helps explain Simon's first claim. That Mr. Simon's counsel wound up on the wrong side of an evidentiary ruling doesn't mean that they made a fundamental legal error that prevented Mr. Simon from mounting a full and reasonable defense. Counsel doesn't act deficiently simply by pushing the envelope. There is an obvious strategic logic in at least trying to admit favorable but likely inadmissible evidence, or proposing favorable but likely improper jury instructions; if successful such efforts might secure the defendant an unreviewable acquittal, and if unsuccessful there's no real cost to the defendant. Mr. Simon is certainly correct that there is never a valid strategic reason to submit untimely jury instructions as opposed to timely ones, but his argument that this mistake made his trial unfair presupposes that there was any legally valid way to present his chosen defense to the jury. In fact, there was not. The court wouldn't have permitted Mr. Simon's preferred good-faith defense to be presented to the jury even if his attorneys had submitted timely and correct jury instructions, because the defense Mr. Simon wanted to raise would have been wholly speculative given the evidence at trial. Even if his attorneys made a mistake by submitting jury instructions too late, this error couldn't possibly have prejudiced Mr. Simon because the instructions would have been rejected even if timely. JAT Comment: It seems to me that implicit in Simon's claim in the § 2255 proceeding is that his attorneys did not introduce enough evidence to support a good faith defense so that, had the attorney timely requested the instruction, the request would have been granted. As I have noted before, a party is not entitled to a specific good faith instruction unless there is evidence to support it. Otherwise, the general willfulness instruction will suffice to tell the jury that it can only find willfulness if good faith does not exist, but to be "entitled" to a specific good faith instruction in addition to the willfulness instruction it is the defense's job to make sure the record supports it. (And, as I have noted before, even in the presence of such evidence, a court's refusal to give a properly requested good faith instruction will usually not be considered reversible error on appeal because the general willfulness instruction will suffice to instruct the jury as to the concept.) But Judge Miller found here that there was not sufficient evidence in the record to support the good faith jury instruction. Still, the court agrees with the government that this error was a minor one in the context of the entire trial. No attorney is perfect, and the Sixth Amendment doesn't entitle Mr. Simon to a flawless defense. His attorneys vigorously put the government to its burden of proof on every charge, and mounted colorable defenses on every issue. That they missed a clear winning argument on an issue relating to one part of a single count in a complex 23-count trial doesn't mean they fell so far below professional standards of reasonableness that they weren't functioning as counsel within the meaning of the Sixth Amendment. More importantly, Mr. Simon ignores that count 2 alleged two falsehoods on the tax return: checking "no" on Schedule B and underreporting income. Even had his attorneys noticed the $10,000 issue as to the 2004 Schedule B and successfully moved to dismiss, it wouldn't have resulted in dismissal of count 2 entirely because the allegations about income underreporting would survive. Mr. Simon could still be convicted on count 2 if the jury found that he underreported his income on his 2004 tax return. Mr. Simon's defense to the income underreporting for 2004 was exactly the same as his defense to the alleged underreporting in every other year: he argued that the money he received constituted loans and didn't need to be reported. The government's evidence was strong that the money Mr. Simon considered loans actually wasn't. And the jury convicted Mr. Simon on every other count that depended on his misrepresenting his financial status, so it would be somewhat bizarre for the jurors to decide the payments from the 2004 returns were legitimate untaxable loans but all the other purported loans in the case were fraudulent. There simply isn't a reasonable probability that the jury would have acquitted Mr. Simon on count 2 even if his attorneys had succeeded in getting the Schedule B allegations to that count dismissed, because the jury would have found that Mr. Simon's 2004 tax return was false in underreporting his taxable income. Even if his attorneys provided ineffective assistance by not investigating the filing requirements of Schedule B, Mr. Simon hasn't carried his burden of showing that such a deficiency prejudiced him. His attorneys reasonably decided not to press the issue and stopped investigating the workings of TurboTax. When an attorney begins investigating an issue and correctly surmises that it won't come out in his client's favor, that attorney's decision to cease the investigation is itself a strategic choice entitled to deference. And, in any event, even if error there was, it was not prejudicial to Simon because the jury heard the defense through other sources, including the Government's closing argument.